This recipe makes me swoon. 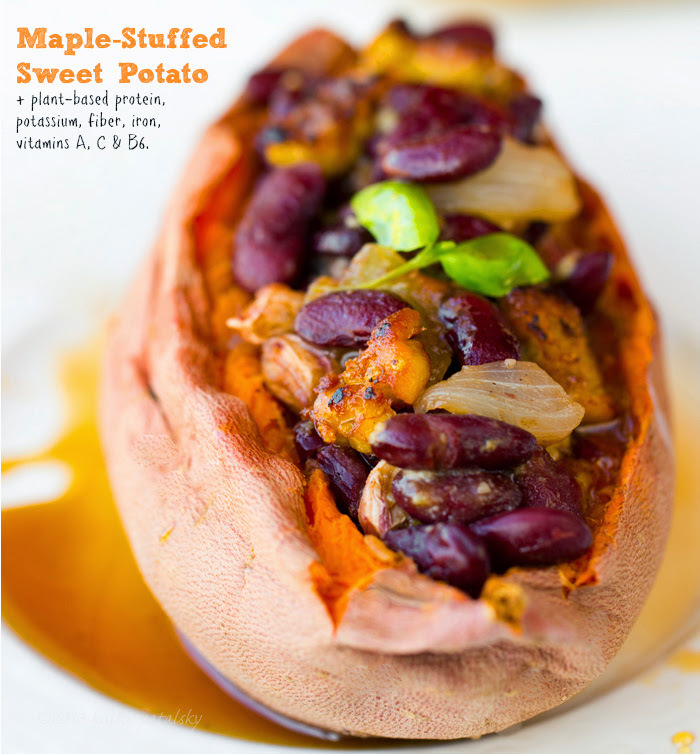 Sweet potatoes are easily one of my favorite foods ever and this recipe really celebrates the simplicity of the sweet potato. 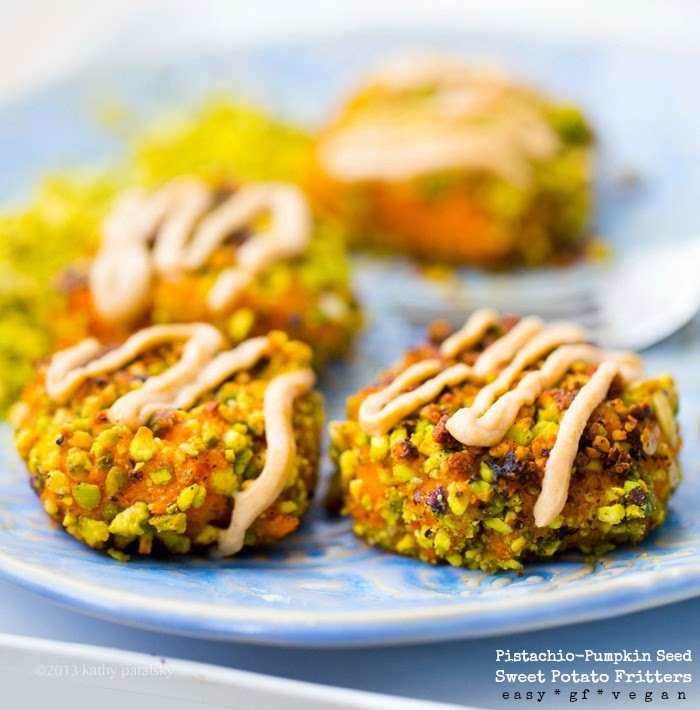 These Smashed Sweet Potato Fritters are crusted in crushed pumpkin seeds and pistachios and very lightly fried in virgin coconut oil, the sultry coconut flavor is intoxicating. The clean flavors of this vibrant appetizer, snack or light lunch shine through. Add a drizzle of easy tahini or chipotle mayo on top and serve these toasty bites warm from the sizzling skillet. Make these and get your cozy on. Perfect as a fall party appetizer too!.. 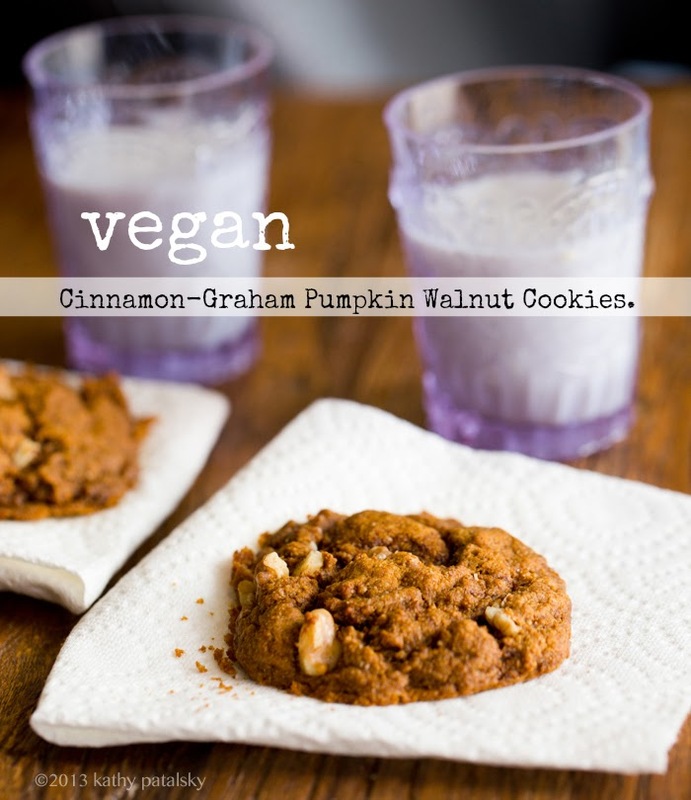 Cinnamon-Graham Pumpkin Cookies or Crackers. Graham flavored goodies remind me of being a kid. All cozy and happy, munching on crispy, wafer-thin graham crackers after school. Maybe some peanut butter and jam smashed between two golden, crispy layers. Crumbs everywhere. And not a care in the world. What crumbs? Who cares. These crackers are amaze. Munch munch crunch. All that carefree happiness squeezed into one flavor: graham. Well actually, graham flour. This cozy fall cookie recipe reminds me to get crumbs everywhere (and not worry about the mess.) Today my one base dough recipe squeezed out three yummy versions..
60-Second Applesauce. Raw or Simmered + Maple-Cinnamon. 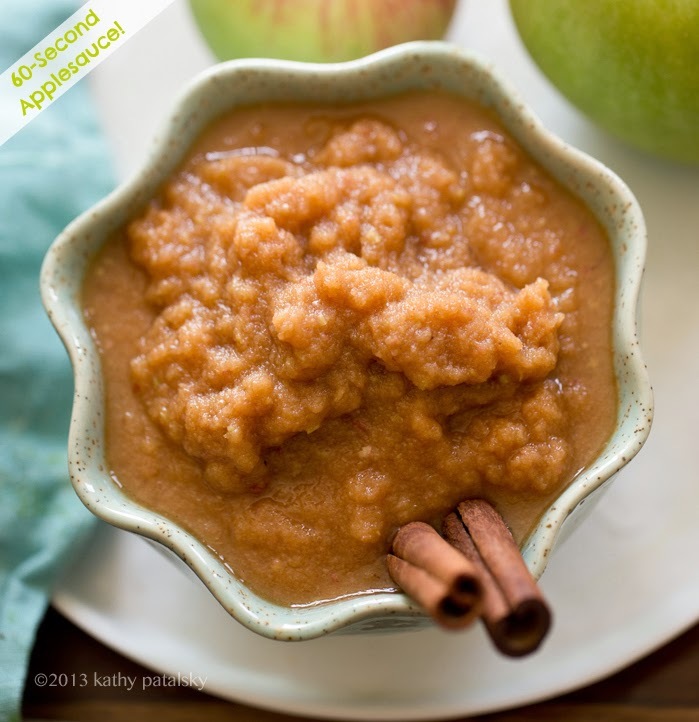 This 60-Second Applesauce with hints of cinnamon and maple is perfect for those times when you crave a super healthy sweet treat, or for when you may need some applesauce for baking purposes or other recipes and only have whole apples on hand. This is a quickie must-see recipe with a cute story that inspired me to try it..
Peanut Butter Cup Pie. (Or Almond Butter Cup.) No-Bake Dessert. 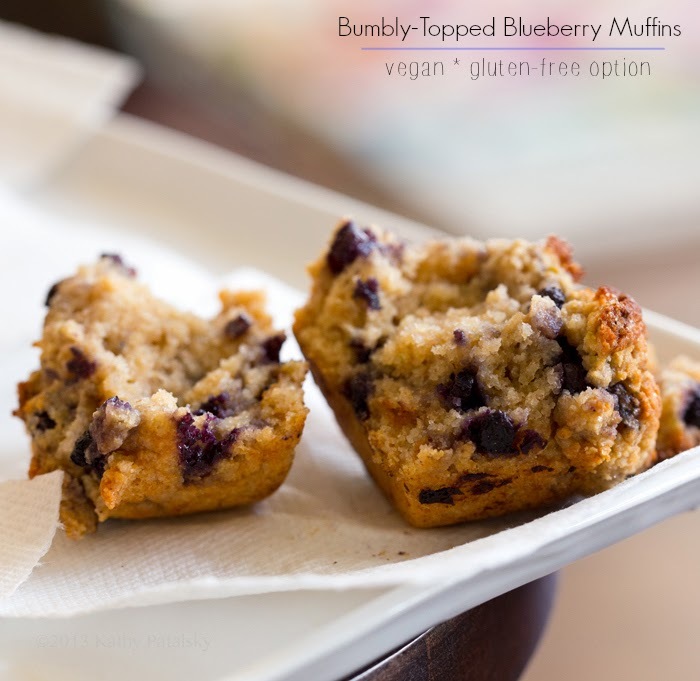 If anyone says to you that vegans don't know how to party when it comes to desserts, just send them this recipe post. 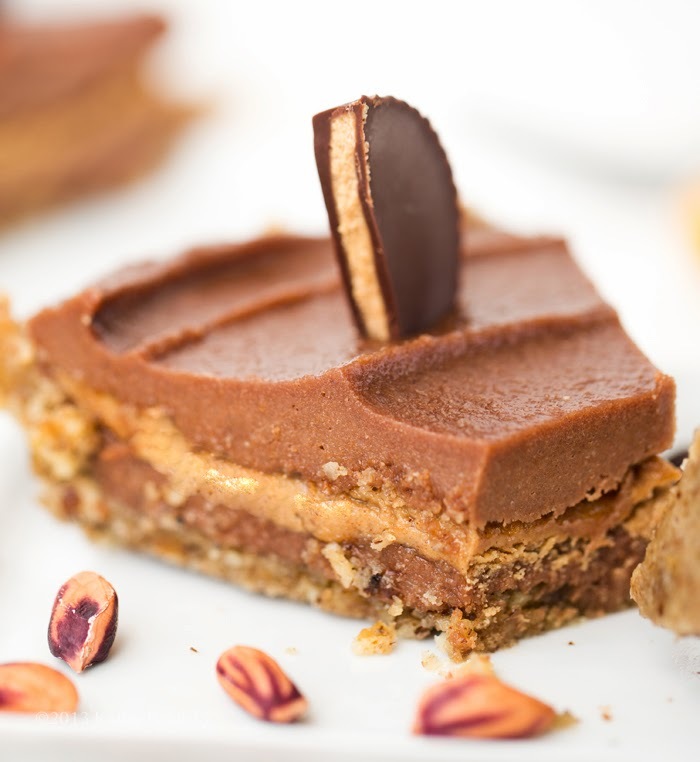 Or better yet, serve them up a slice of this velvet-y rich Peanut Butter Cup Pie and taste-test them into agreement. Vegan desserts rock. I love a one-skillet wonder meal. And this fall-inspired recipe has all my favorites twirled together in one big, steamy, cozy rice bowl. 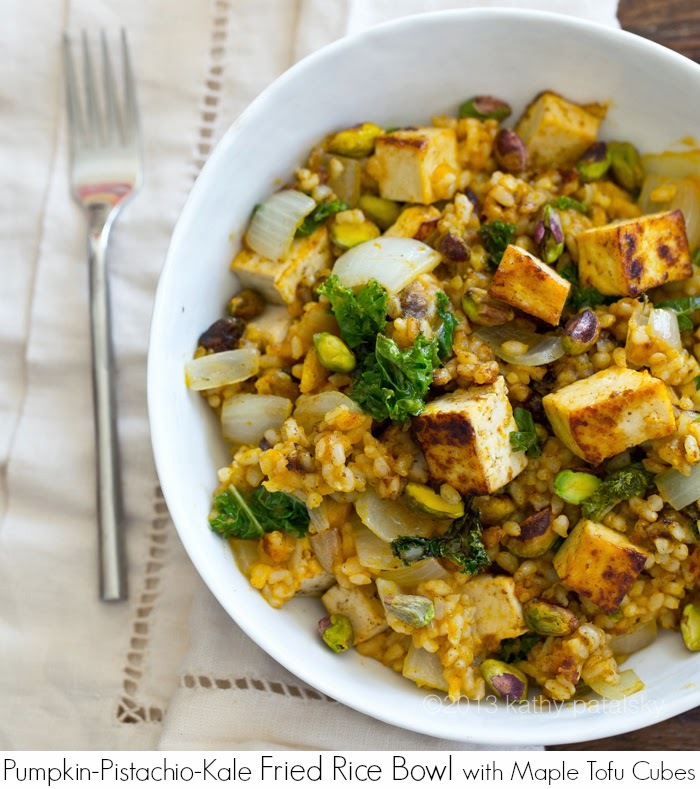 Pumpkin-infused short-grained brown rice, sweet onions, bright green pistachios, crispy maple-accented tofu cubes, warming spices, fresh citrus and of course .. some kale in there too! If you are using leftover cooked brown rice you can easily whip this up in under twenty minutes. 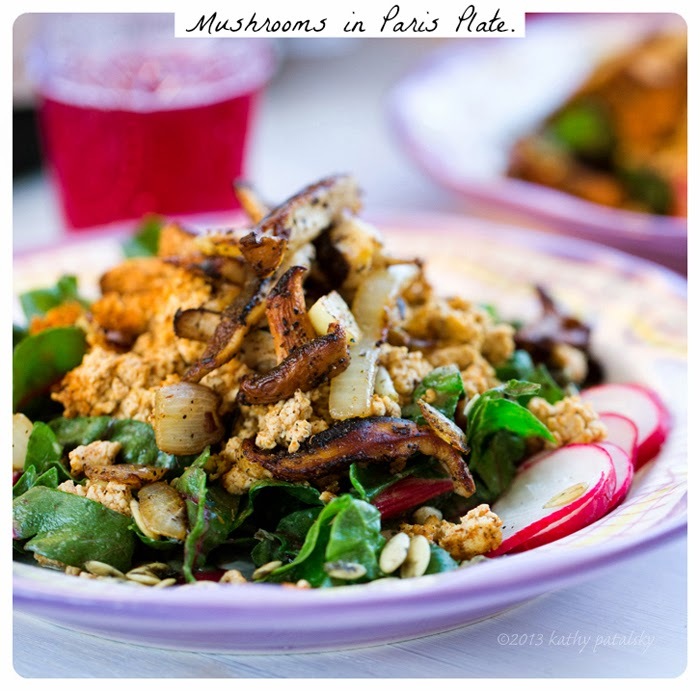 Healthy fast food for fall! This savory sweet, sassy-spiced vegan dish is infused with caramel-y grade B maple syrup, accented with warm spices. 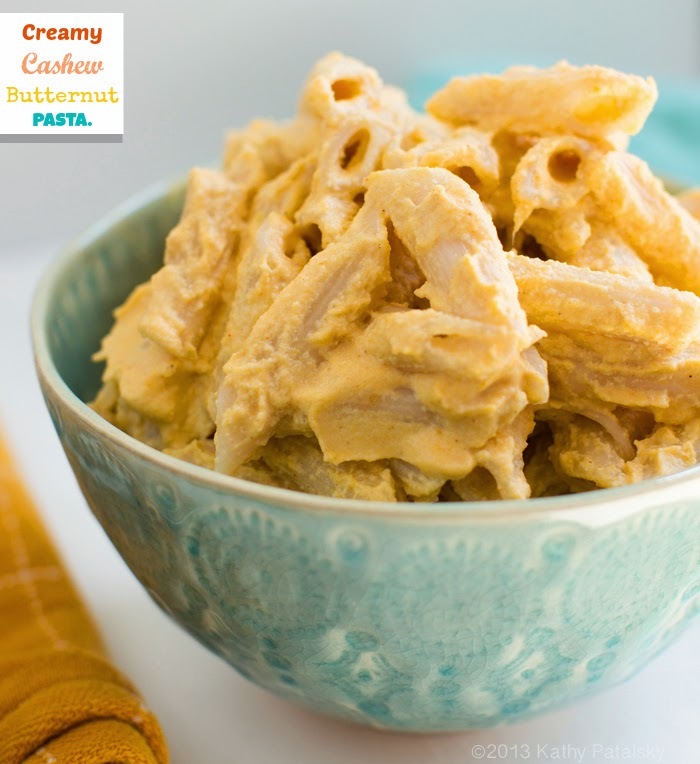 I really hope you give this easy, comforting and super satisfying recipe a whirl!.. Caprese Salad Sandwiches Gone Vegan. I filled each toasted roll with peppered cashew and pumpkin seed cheese that I (quickly) whipped up. Over top the creamy, nutty cheese I added Italian herb marinated tomatoes and onions, accented with basil. Then some lemon-tossed avocados and fluffy micro basil to finish things off. A drizzle of raw macadamia nut oil on top and extra squirt on sunny bright lemon too. 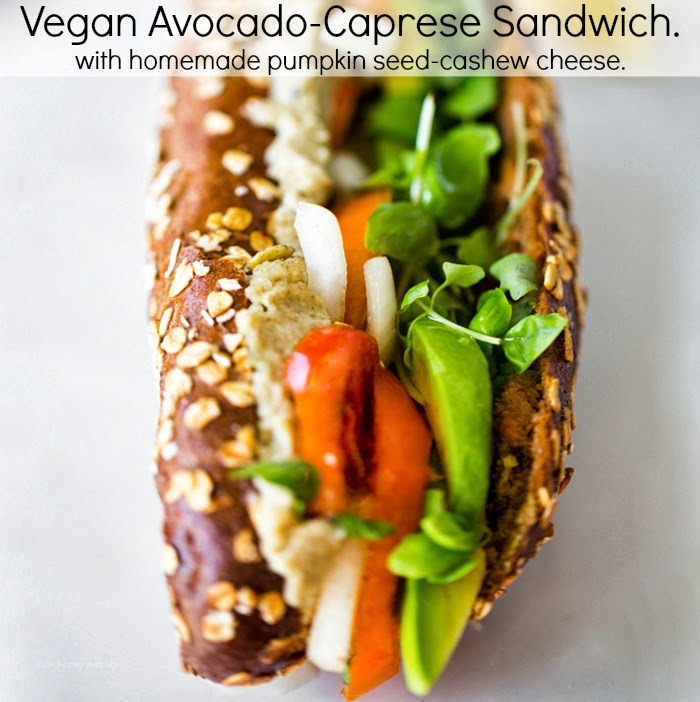 Each bite reminds me of a classic caprese salad .. only this time veganized and sandwich inspired! Whip up these sandwiches and turn a caprese salad into your next meal..
Homemade seitan, made from scratch using vital wheat gluten is easier than you may think! Vegan Cooking Basics. This is a vegan 101 cooking technique (almost) every vegan-curious cook should try. 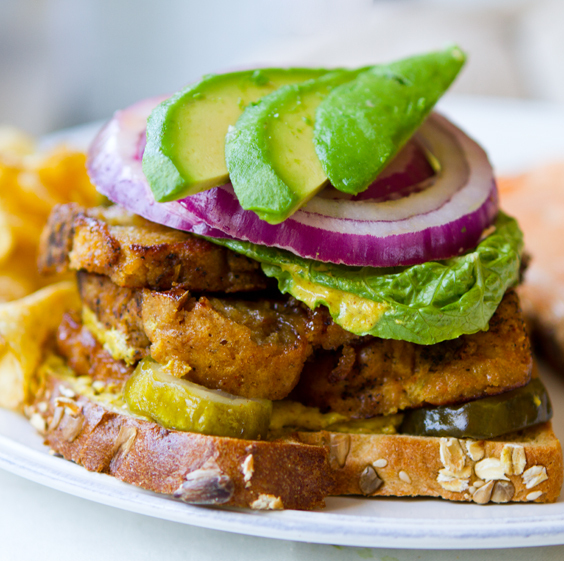 However, seitan is not gluten free, so GF sensitive people will have to skip this one. Once you learn to make your own seitan you will be adding it to hearty sandwiches, skillet sautes, stacking it onto bamboo skewers for grilled seitan skewer appetizers and rolling it into tiny sausage-like shapes for you own homemade vegan seitan sausages! Ready to give it a try?..